Now you can enjoy Safie gourmet pickled products that are delivered directly to your home! 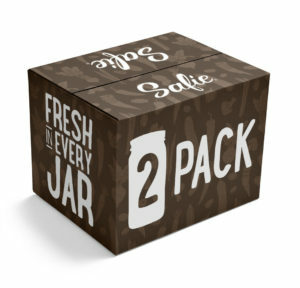 To help our customers save on shipping costs, Safie ships pickled products in multiples of two or more (example: 2 pack, 4 pack, 6 pack, etc.). Simply choose from one of the “Build a Pack” boxes below or add any number of products to your shopping cart that is a multiple of two. Experience superior quality and try all of Safie’s new flavors today! Free Standard Shipping on Orders of $75 or More! *Exclusions may apply.